A collaborative mapping project to build a database of bloggers who have been threatened, arrested or killed for speaking out online and to draw attention to the campaigns to free them. We're working on a new version of this project. The data captured here is not up-to-date, so please do not rely on it as a current source. Thank you and please visit Global Voices Advocacy to get the latest news about online free speech around the world. On February 5th, 2009, Venezuelan blogger Alexis Marrero, blogging at “Alexis Marrero in Politics”, was detained by police while putting up some posters asking people to vote NO on the constitutional referendum that would eliminate term limits on Chavez. Marrero was released the same day, but was summoned to appear in court the next day. According to Information Policy Blog, Alexis Marrero was informed that an arrest warrant had been issued against him on July 30th. He was summoned early this year to the special prosecutor’s office and was informed that an investigation was being launched against him for allegedly inciting or instigating to assassinate an important political figure, war propaganda, and contempt against the figure of the President. 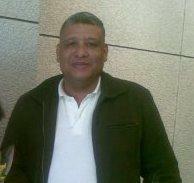 The accusations are based on a post on his blog entitled “Stop the Misery Death to the Traitor, Death to Hugo Chavez”. Threatened Voices hopes to be a collaborative project. If you have updated, more accurate or more detailed information about the blogger profiled above please let us know! We hope to add the ability for anonymous visitors to add to these profiles soon, but until then please use the comment form below to submit updates. We will review all comments and update the profiles themselves as soon as possible. For any new information please state a source so we can verify it before updating the profile (URLs are ideal). To make this profile as detailed as possible please check the profile submission form and include data for as many of the fields listed there as you can. If you would rather submit privately (we understand!) please use the contact form instead of a comment. Just make sure you include a link to this profile as well as updated information in your message. Know about a threatened or arrested blogger who's not on our map? cases of threatened or arrested bloggers. Threatened Voices is a project of Global Voices Advocacy and Global Voices, and is charitably sponsored by Hivos.